IT help desk tools are essential to any organization. Businesses use them to improve customer service, lower costs, and respond more efficiently to customer complaints. They also improve regulatory compliance and keep key members of management in the loop. There are a lot of help desk tools available on the market, so how do businesses choose the right one? The answer to that is simple—the most intelligent help desk tools are superior. Look for these characteristics in a smart help desk tool. Seek Automated Workflows. Manually logging information and requests on spreadsheets, accounting for inventory with manual keystrokes – gone are the days of sticky notes and time-consuming workarounds. An effective help desk tool takes the menial out of an IT specialist’s workday, which includes automatic ticketing, workflow verification, and change management. Your IT department functions to maximize productivity by offering its expertise for difficult tasks—not to simply to reset passwords and repeatedly spoon feed simple answers to common problems. Set Rules and Important Parameters. Want to make sure a ticket gets to the right member of your IT staff? An intelligent help desk tool can assist with that. If your company operates an industry-specific asset, and your IT department has one or two gurus, your help desk tool can automatically generate and assign the ticket to the appropriate person, which expedites resolution and improves end-user experience. Control Your Issue Resolution. Requests for service come from many different sources. IT departments juggle them from email, phone, online portals, and multiple conversations. An intelligent help desk tool automatically generates a ticket using any of these tactics. For example, an email or phone call to the help desk automatically creates and assigns a ticket. Smart online portals don’t require much information—the end user just taps an appropriate icon (software, hardware, permissions, etc. ), and the IT department receives a ticket, as well as an asset history. 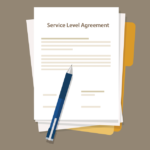 This process and related documentation prevent requests from slipping through the cracks. Quality help desk tools also allow admins to manually configure the ticket assignment process to align with the ever-changing needs of the company and end users. Track Your Performance. Want to know how well your IT department is performing? A help desk tool is handy for performance reviews and training. By providing critical metrics for each technician, companies can take steps to bolster productivity. IT leaders can implement targeted training if specific requests display a slower turnaround time than others. Follow-up with the appropriate specialists also keeps your department running smoothly. Reports help management create FAQ sections and guide further training. Alert functions also help keep customers and management in the loop when a request is taking longer than expected. Provide Remote Assistance. Our businesses are becoming increasingly globalized with employees working remotely across the country. Your company may be spread over hundreds, even thousands of geographic miles. As such, IT teams may need to connect remotely to desktops to solve system or network issues. Intelligent help desks have an option for remotely accessing a workstation straight from a created ticket. Integration with remote access software creates possibilities for real-time remote assistance. Leverage the Knowledge Base. A help desk tool should always have a knowledge base, but an intelligent one goes one step further. Data from knowledge base inquiries can guide the creation of an FAQ section and enhance the self-service aspect of your software. End users can solve more issues on their own, freeing up time for IT specialists to work on problems worthy of their expertise. Are you wondering how smart your current help desk tool is? If so, think about how well it integrates with your other services and relieves your organization of menial tasks. Do you have seamless integration with asset management? Does your current help desk too let users solve common problems on their own? How about automatically generating reports that make sense to management and stakeholders? If your current help desk tool isn’t intelligent enough to do that and more, then maybe it’s time for an upgrade. Ready to begin simplifying and automating ITSM? Download a free trial of SolarWinds® Web Help Desk®, an affordable and easy to use ticketing and IT asset management software solution.